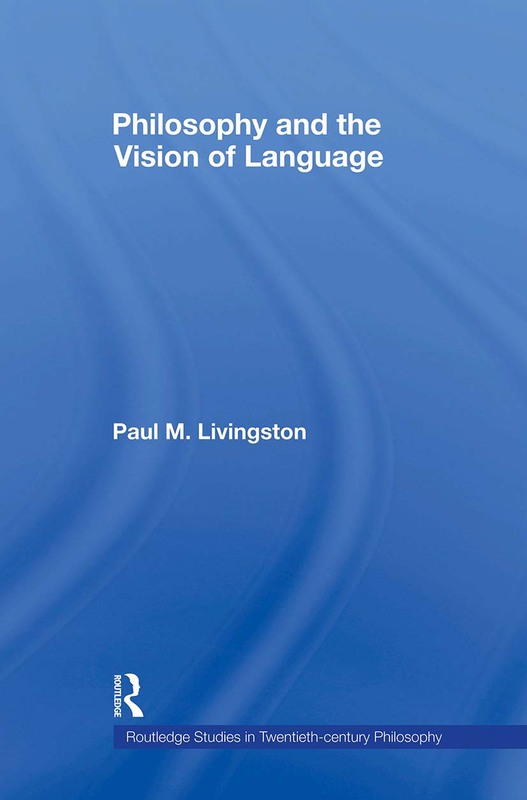 Philosophy and the Vision of Language explores the history and enduring significance of the twentieth-century turn to language as a specific object of investigation and resource for philosophical reflection. It traces the implications of the access to language in some of the most prominent projects and results of the historical and contemporary tradition of analytic philosophy, including the projects of Frege, Wittgenstein, Sellars, Quine, Brandom, and Cavell. Additionally, it demonstrates the deep and enduring connections between the analytic tradition’s inquiry into language and the parallel inquiries of phenomenology, critical theory, and deconstruction over the course of the twentieth century. Finally, it documents some of the enduring consequences of philosophy’s inquiry into language for contemporary questions of social and political life. The book provides a clear, accessible and widely inclusive introduction to the relevance of language for analytic and continental philosophy in the twentieth century and is readable by non-specialist audiences. It should contribute to a growing historical sense of the location of the analytic tradition in a broader geography of social, political and critical thought. Furthermore, it contributes to building bridges between this tradition and the neighboring continental ones from which it has all too often been estranged.